If you're tilted to the right you may have difficulty appreciating "The Contender" from its viewpoint that is obviously leaning left. However, with a little patience, you'll be rewarded with a political story that transcends politics...and gets damn personal. 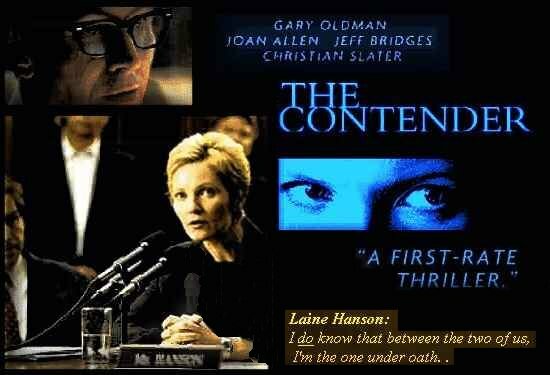 Joan Allen's performance deserved the Oscar, Jeff Bridges is wonderful and full of surprises as the President, and, no surprise to his fans, Gary Oldman [the executive producer] turns in another fascinating and multi-layered performance as the leader of the opposition. This one I highly recommend for thoughtful adults.